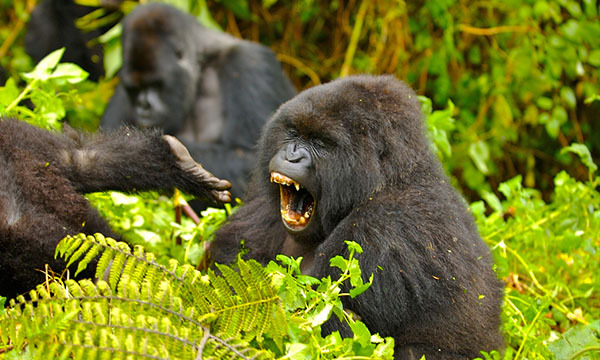 Gorilla Trekking in Ruhija – Ruhija region of Bwindi Impenetrable National Park is located in the Eastern Part of Bwindi Impenetrable National Park and it’s one of the coldest areas of the Park since it stands at a height of 2,350 meters above sea level. 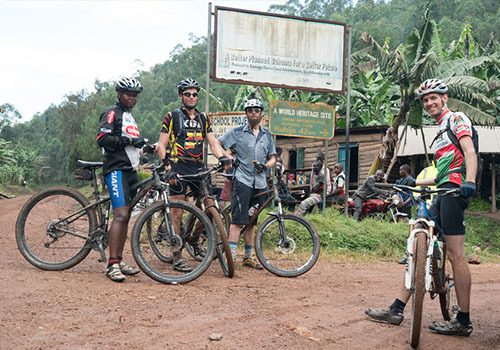 It is mainly positioned between Buhoma region in the north Bwindi and Kabale town in the south. 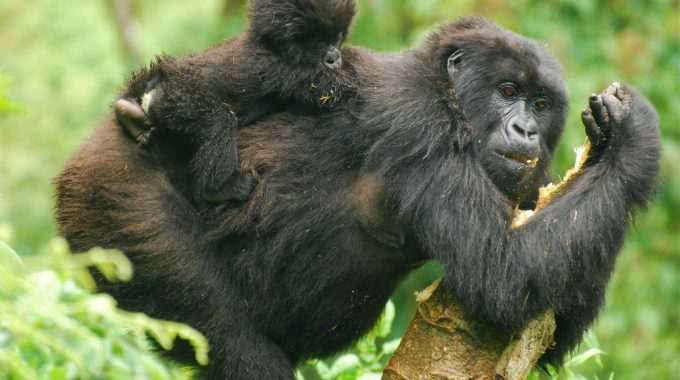 This sector has mainly three Habituated gorilla families available for trekking and they include; Kyaguriro family, Bitukura family, and Oruzogo family. At first, Ruhija had only two habituated gorilla families for trekking, which were Bitukura and Oruzogo and at that time only 16 gorilla trekking permits were sold out per day, but ever since Kyaguriro research group was introduced, 24 gorilla trekking permits are now sold out. And Before being introduced for trekking, Kyaguriro gorilla group was only reserved for research at that time, though it was habituated. However, you can only visit Kyaguriro gorilla family after getting a formal permission from the Uganda Wildlife Authority. Unlike other gorilla families, only a group of 6 people are allowed to trek Kyaguriro gorilla family instead of 8 and you can only trek all the three gorilla families only with a valid gorilla trekking permit. Ruhija’s gorilla trekking permits are not highly competited for, due to the fact that it’s given less attention by the tourists which may be as a result of less publicity due to the few gorilla trekking families as compared to Buhoma that’s why it’s not surprising that you can get a gorilla trekking permit for Ruhija region even in the last minute at the time you want to go for your trek. But however, during the peak season, Rujija’s gorilla trekking permits are always sold off and are consumed by tourists who enjoy to trek in a less congested area due to the fact that Ruhija is less congested unlike Buhoma which is always congested with tourists. Undeniably, Ruhija offers a more ecotourism experience as compared to other sectors for gorilla trekking in Bwindi due to the fact that it’s not highly congested therefore tourists are able to enjoy their trek through the forest as they are given enough explanation by their guides about the various tree, animal and bird species in the forest. Tourists are also able to get a memorable one hour experience with the gorillas as they interact with them. Ruhija’s existence is highly observed as a result of its good location which attracts tourists to it. Due to the fact that Ruhija is situated between Buhoma region in the North of Bwindi and Kibale town in the south, it is really easily accessed from both the north and the south. Ruhija can be reached when you connect right from Queen Elizabeth National Park only at a distance of 218 kilometers, therefore tourists using this route will have the opportunity to see the tree climbing lions as they carry out a game drive in the Ishasha sector of Queen Elizabeth National Park. And from Kampala, you will follow the route to Kabale town, from where you will branch off via a short rough murram just a few kilometers to Ndego gate. Ruhija can also be accessed following the route from Kampala to Ntungamo-Rukungiri-Kihihi-Butogota, from where you will have a two hour drive to Ruhija and therefore Tourists are advised to use a 4 wheeled vehicle due to the nature of the roads. For Clients who prefer using flights, it’s unfortunate that there are no scheduled flights to Ruhija, but you can still use the route to Buhoma sector by flying to Kihihi and then drive to Ruhija for only two hours or you can use charter flights and land in Kabale from where you will drive to Ruhija. Once you reach Kabale as you head to Ruhija, you will be able to have beautiful views of the Virunga volcanoes of Muhavura, Sabinyo and Mgahinga while at a vantage point. You will also enjoy a fantastic view of Lake Bunyonyo. 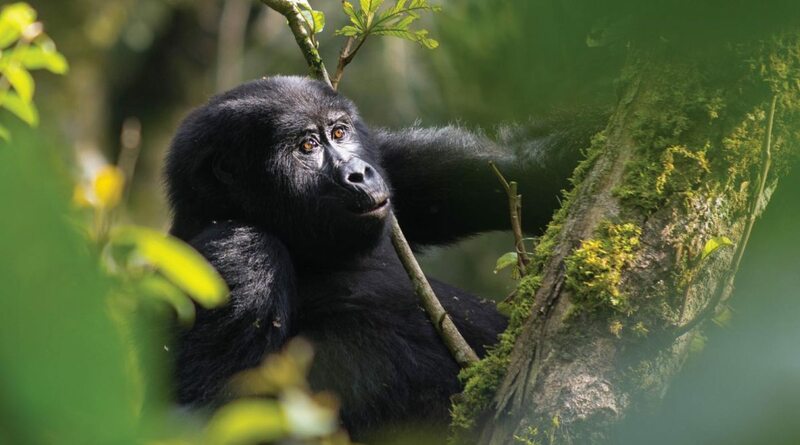 Besides gorilla trekking, you will also have the opportunity of enjoying other activities while in Ruhija such as Bird watching which is popular in this region of Bwindi and it’s the only area where you will have the chance of viewing the African Green Broadhill , Nature walks through the forest as you will enjoy to see the various primates such as the white and black colobus monkeys as they play all over the tree branches in the forest and a few kilometers away, just about 52, you can also take the opportunity to visit Lake Bunyonyi which is a beautiful crater lake with multitudes of Islands and hills hence creating a perfect environment for relaxing and recreation as well as enjoying canoe rides. After enjoying all these memorable activities, you can still proceed to the local Batwa community to enjoy various cultural activities such as cultural performances in dances and songs which depict their past life in the forest, meeting the Blacksmiths and the Traditional healer who treats the sick using local herbs extracted from plants, observing the making of craft materials such as baskets, sandal, bags, and many others by the Batwa local people. Ruhija also has favourable accommodation facilities that are so interesting which provide luxury and budget accommodation services to clients at fair prices and some of these include; Broadbill forest camp and Gorilla mist camp for the mid market travelers and lodges such as Ruhija gorilla safari lodge and Ruhija gorilla resort lodge, Bakiga lodge and others.